2017 Ford F-150 Raptor to Make 450 Horsepower? Even though the launch of the 2017 Ford F-150 Raptor is over a year away, we’re being inundated with news and rumors. The latest comes from Ford itself this past weekend. Ford product guru Raj Nair was doing an interview during the Rolex 24 and mentioned that the new Raptor would make 450 horsepower. If that ends up being true, I nailed it! Whether on purpose or by accident, Nair let slip during an interview with Fox Sports that the new truck would make 450 hp. We knew from the launch that the twin-turbo EcoBoost V6 would make more power and torque than the outgoing 6.2L V8. This horsepower would represent a healthy increase in power. Combined with a weight savings of approximately 500 pounds, the new Raptor, according to Ford, will be a rocket-ship. 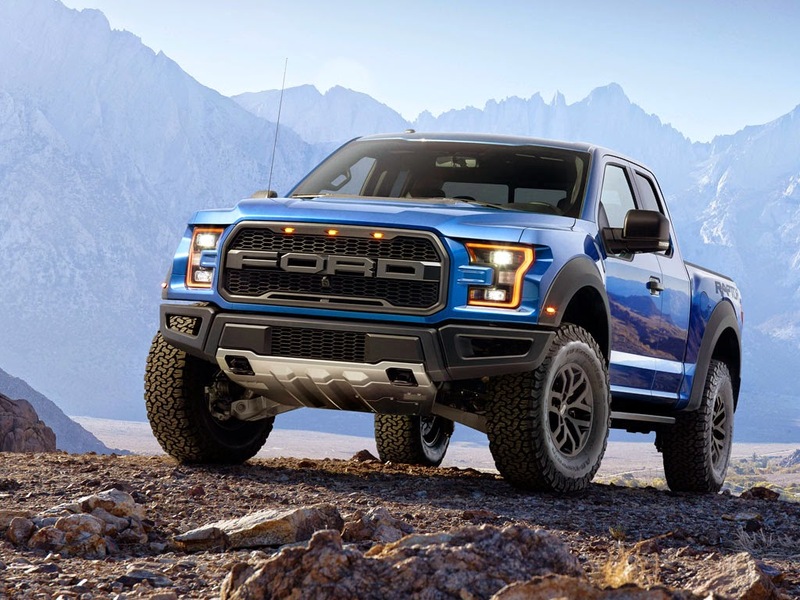 Add in the new 10-speed automatic transmission, and it might even get better fuel economy than the previous truck (even if that’s not the reason why you buy the Raptor). With the truck launch being so far away, that horsepower number may change. We’ll know more as the time approaches. But Raj Nair is definitely in the know, and we’d take his word over a bunch of other sources. What I do know is this truck is shaping up to be quite a monster! For those who have always wanted to make some time and tracks off-road without resorting to extreme aftermarket alterations, your machine is here!! Excellent One Owner Bought New Here At Anderson Ford!! Leather Seats, SAT Radio, CD Player, iPod/MP3 Input, Running Boards, Bluetooth, Orange Accent, Graphics Package, 4x4 Very Rare, SAT Radio, iPod/MP3 Input, CD Player, Bluetooth, Running Boards, Flex Fuel, Aluminum Wheels. Keyless Entry, Steering Wheel Controls, 4-Wheel Disc Brakes, Child Safety Locks, Privacy Glass.. SVT Raptor with Molten Orange Tri-Coat exterior. Features an 5.4L V-8 Engine with 310 HP at 5000 RPM*. Serviced here, Non-Smoker vehicle, Originally bought here! You wouldn't know it has 87K miles!! Call Patrick at 800-234-3106 to set up an appointment!! Ford’s new 2015 Mustang was out in force at SEMA this year, winning SEMA’s “Hottest Car” award. 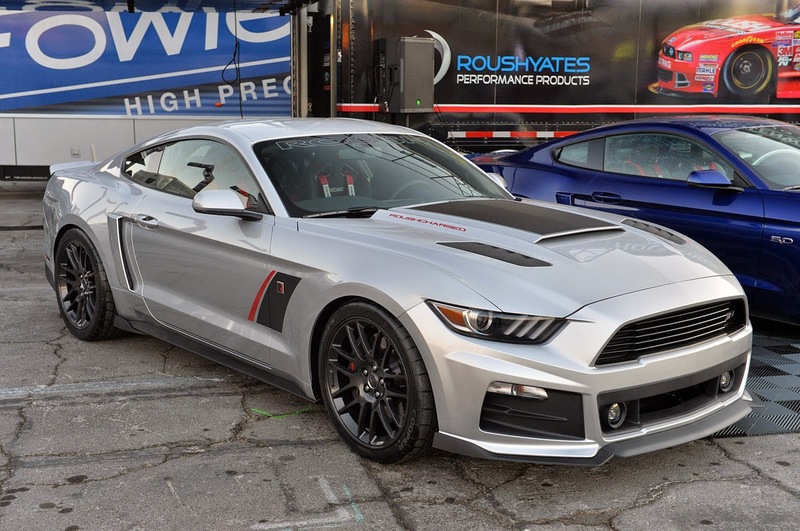 ROUSH Performance was proud to add to the excitement surrounding Ford’s new pony car. ROUSH Performance’s unparalleled, factory quality fit and finish was on display with our cleanly styled RS, Stage 1 and Stage 2 Mustangs. On November 4th at SEMA our big reveal was the ROUSH Performance Stage 3 Mustang. This beast features a 5.0L ROUSHCHARGED powertrain that produces 627HP and 530 foot pounds of torque with the help of the ROUSH 2.3L TVS Supercharger and Quad Tip ROUSH exhaust system with Active Exhaust as an option. The Stage 3 stays firmly on the road with the help of standard Adjustable 1-way Coil Over Suspension designed to take advantage of the Mustang’s new Independent rear suspension. Or as an option the 3-way adjustable TrakPack Coil Over Suspension found on the award winning ROUSH Stage 3 TrakPack Mustang. A set of sticky Ultra High Performance Cooper RS3 tires wrapped around 20 inch ROUSH Quicksilver Wheels put the power to the ground. Exterior styling on the Stage 3 not only looks good but is fully functional. The Front Splitter, rear deck spoiler, and rear valance have been designed in-house by ROUSH to increase down force. The High Flow Upper Grill and lower Opening help feed air to the engine and direct cool air to the intercooler. Performance Driving Lamps, Hood Scoop, ROUSH badges and a Stage 3 Graphics package complete the look. Additional standard equipment includes a Stage 3 serialized engine bay plaque with build signature and Dashboard plaque, as well as ROUSH branded Floor Mats and Instrument Cluster. Additional options includes: Front Curb Avoidance System, ROUSH hood extractors, Body Side scoops and Quarter Window Scoops, ROUSH Leather seating, 6 speed shifter ball, Custom paint options and more.